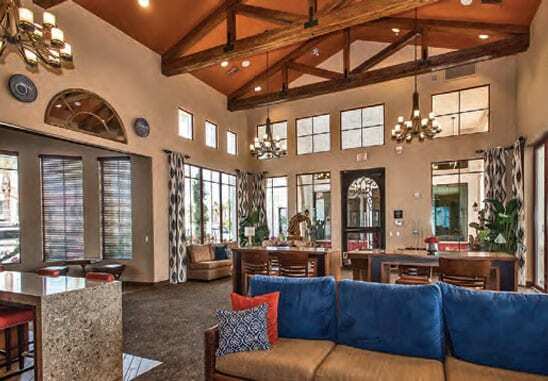 Almeria at Ocotillo is strategically positioned within Price Corridor, one of the most dynamic technology employment markets in the nation – three of the largest employers are within walking distance – Intel, Wells Fargo and Orbital ATK. 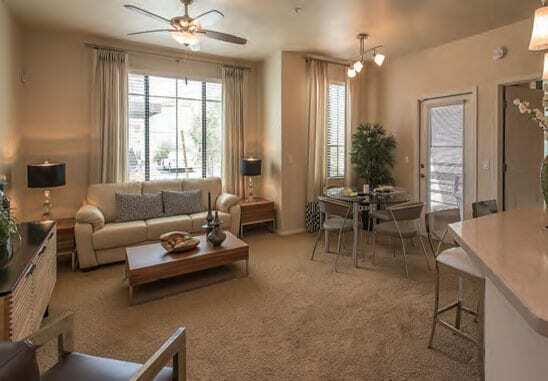 A 389 unit Class A apartment community completed in 2014 and 2015; the property is comprised of 29 2- and 3-story buildings on approximately 22 acres offering 1, 2, and 3 bedroom units. 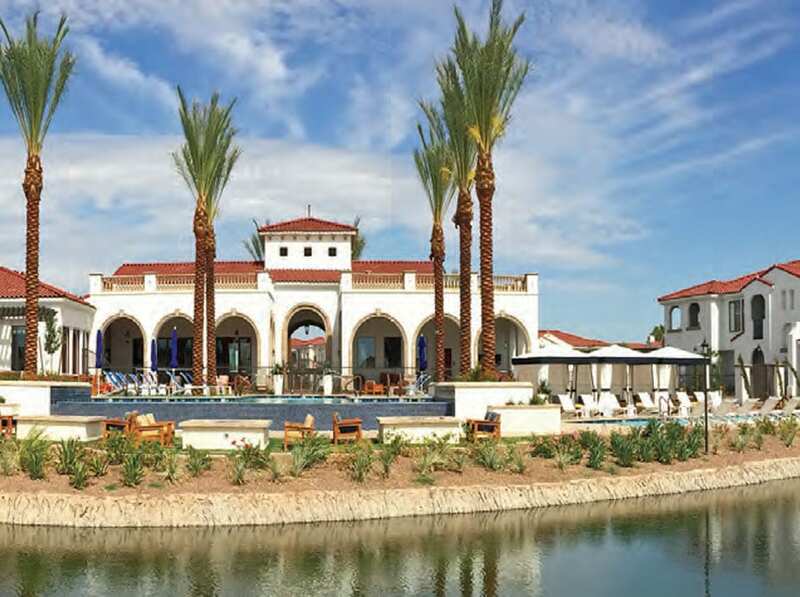 The property is part of the highly sought-after Ocotillo 1,900 acre master-planned community that features manmade lakes, an award winning golf course, retail, commercial and industrial centers as well as high-end residential communities. 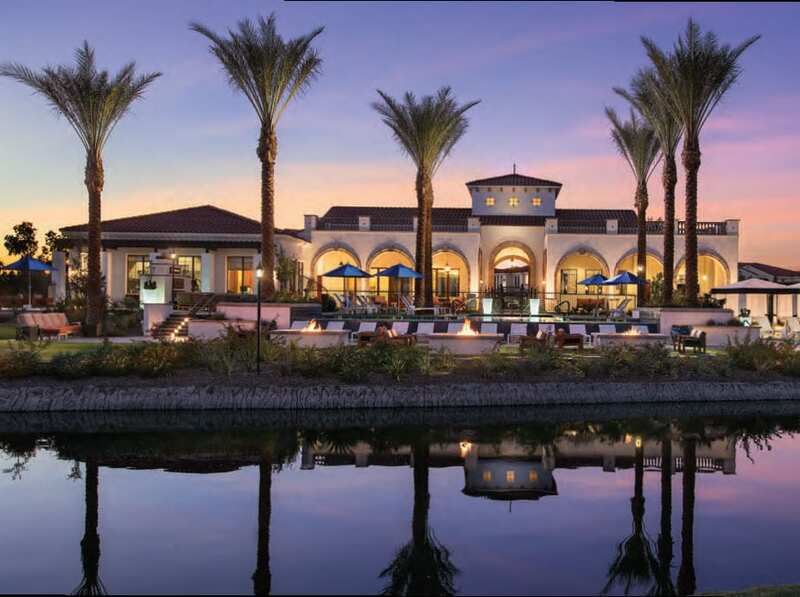 The city of Chandler is one of the fastest growing cities in the nation and is a preferred location for new and expanding businesses. The education levels, average household income, projected population growth and median home values within a 1-5 mile radius of the property are all significantly higher than the Phoenix MSA. The Master Tenant objectives will be to (i) make fixed rent payments and percentage rent payments, (ii) maximize rental increases, ‘other income’ and occupancy, (iii) improve new lease closing ratios and resident retention, (iv) reduce operating expenses, and (v) prepare the property to be sold when the market dictates. All real estate investments have risks. There is no assurance that some or all of these objectives will be met. There are substantial risks in any Investment Program. See “Risk Factors” in the accompanying Private Placement Memorandum for a discussion of the risk relevant to this offering. Implement aggressive marketing campaigns to reach out to local corporations, businesses and vendors to obtain referrals, activity sponsorships and reciprocal business opportunities. Enhance the Project’s internet marketing by engaging an internet firm specializing in search engine optimization. The utilization of a search engine optimization firm will improve the Project’s online presence resulting in more cost efficient and cost effective marketing. The firm will provide community- tailored paid internet search advertising campaigns. Install a state-of-the-art computerized revenue management program that collates market and submarket data and establishes daily pricing for all units based on a number of primary factors including inventory, days on market, move-in date and location. This type of computerized revenue enhancement system is gaining wide acceptance in the multi-family management industry as being a cost effective software program that will manage pricing in an effort to increase the financial performance of the Project. Introduce and monitor more aggressive increases in other income items to maximize recovery of utility costs, trash removal fees and pest control fees. Introduce and monitor more aggressive increases in other income fees such as administrative fees, application fees, transfer fees, pet deposits and pet rent. 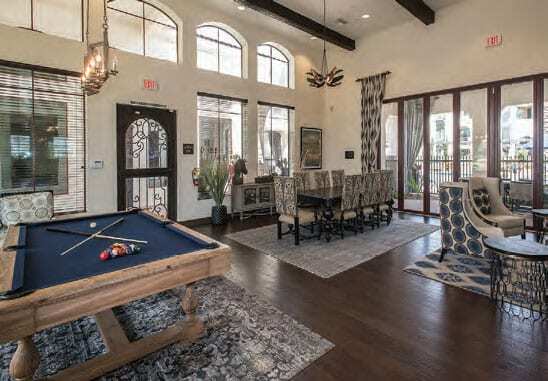 Complete furnishings in second clubhouse, not being fully utilized by current Owner, to enhance curb appeal to prospective residents and provide additional amenity to current residents. Hire a nationally recognized third-party property management company to oversee an on-site management team of experienced and enthusiastic professionals. Install a lease management system that targets the number of monthly lease expirations to approximately 10% of the units. Install a reputation management system that enhances the property’s on-line rating scores on industry rating sites as well as multiple search engine rating sites. In today’s technology driven market, a property’s on line rating scores are critical search components for prospective residents. Conduct regular meetings between the Master Tenant’s asset manager(s) and the regional third-party staff reviewing performance reports including, but not limited to, new leasing activity, retention activity, pricing matrix, marketing programs and capital projects. Hold regular resident functions to foster a sense of community thereby increasing tenant retention. Maximize occupancy through implementation of a multiplatform marketing program including a focus on website and internet advertising, as well as utilization of print media if applicable. Leverage “economy of scale” cost effective pricing structure on contractor and vendor services, insurance and maintenance supply inventory. Perform annual competitive bidding of contracts and services. Implement an annual property tax review and appeal program utilizing recognized national and/or local area tax consultants. Implement an annual property insurance review utilizing recognized national insurance agencies. Residents enjoy first class amenities including an infinity edge pool overlooking Ocotillo Lake, a second resort-style pool, a lap pool, two spas, outdoor kitchen, multiple outdoor fireplaces, two state-of-the-art fitness centers, yoga and spin studio, theater room and video wall, clubhouse with pool tables, electric car charging station, dog park with agility course, dog grooming station, playground and kids splash pad. 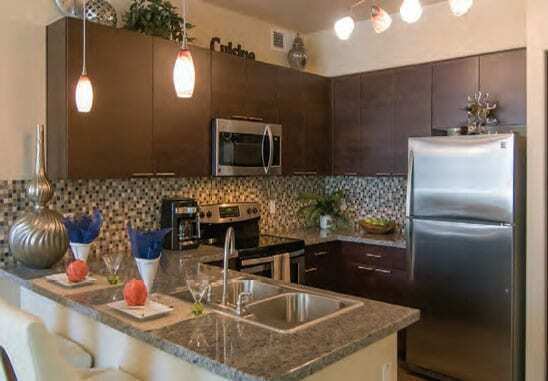 Unit finishes include quartz or granite countertops, stainless steel appliances, contemporary cabinetry, tiled backsplashes, wood-style flooring, breakfast bar seating, full-size washer and dryers in each unit, private terraces and balconies, spacious walk-in closets and 9 foot ceilings. 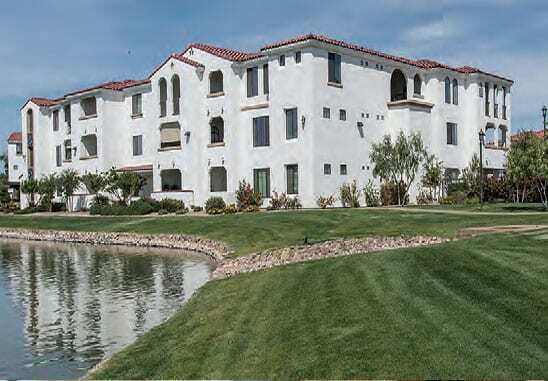 Passco Companies is directed by a team of dedicated senior real estate professionals whose experience in the business averages 34 years, and who, collectively, have acquired over $30 billion in investment real estate projects. Nationally, Passco Companies has achieved the status of “Preferred Borrower” with Fannie Mae, and locally ranked #1 “Best Places to Work” for a medium sized company by the Orange County Business Journal in 2016. Passco Companies is also recognized as the 2nd “Fastest Growing Private Company” and one of the “Top Private Companies” by the Orange County Business Journal and one of Inc. 5000’s “Fastest-Growing Private Companies in America”. Annually, Passco Companies gives approximately $50,000 to local charities benefiting education, medical research, family and children’s services and veterans.